Mark Little: Bolton Wanderers defender accidentally loses wallet and wedding ring! Bolton Nuts » BWFC » Bolton Wanderers News » Mark Little: Bolton Wanderers defender accidentally loses wallet and wedding ring! When Bolton Wanderers defender Mark Little gave his jacket away to a fan after Sunday's dramatic final-day win over Nottingham Forest secured their Championship status, initially it just seemed like a nice gesture. However, the 29-year-old soon realised he may have given away more than he intended. The former Peterborough United and Bristol City right-back posted on Twitter after full-time to ask for his wallet and wedding ring back after leaving them in the jacket. Needing a win to have any chance of survival, relegation to League One had looked almost a certainty for Bolton after they went 2-1 down against Forest with 11 minutes to go. But Wanderers fought back with two goals in two minutes from David Wheater and Aaron Wilbraham, ensuring they would be a Championship side for another season. 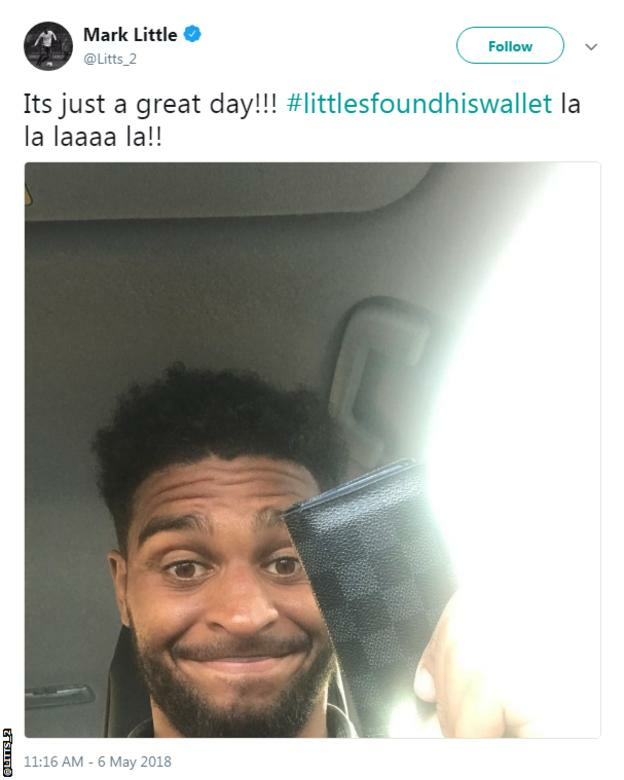 Luck struck again for Little as he later located his wallet and, after a supporter posted in a Facebook group that the ring had been found, he looks set to be reunited with that on Monday.